All hail the hotdog princess! In a world full of princesses, five-year-old Ainsley dared to be different. And by different, we mean she chose to be a hot dog. The world has now gone hot-diggity mad for the #hotdogprincess and the powerful message her daring move projects. Let’s be frank – this is the best Princess costume we have ever seen. Like the rest of her classmates, Ainsley was more than excited for her dance school’s Princess Day where the students were given permission to come to class donned in their best gowns and draped in their finest fabrics. 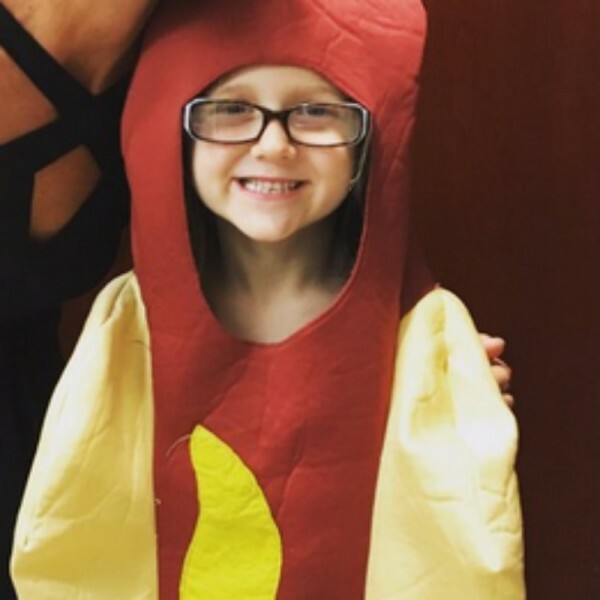 While most of the kids in the class dug out their Ariel tails, Belle gowns, Cinderella dresses and Elsa capes, Ainsley waltzed in to class wearing a hot dog suit. And, naturally, the Internet has gone absolutely crazy for the little girl who chose to think outside the bun with her delicious attire. Since then #hotdogprincess has been steadily climbing the trending ladder and the little girl is digesting her new found fame. So what made the little girl decide to dress like a classic American frankfurter? Ainsley did wear a dress underneath it so she could be a princess on the inside. And just in case she got too hot as a hot dog. If you can look past the absolute awesomeness of her costume, Ainsley’s bold move is also sending a message to the universe – it’s okay to be different as long as you be yourself. If you want to be a princess, be a princess. If you want to be a hot dog, be one.